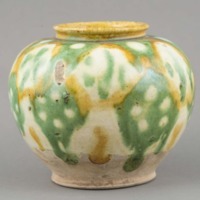 One globular glazed sancai ware vase surmounted by a shallow neck over broad shoulders and tapering to a shallow narrow base. 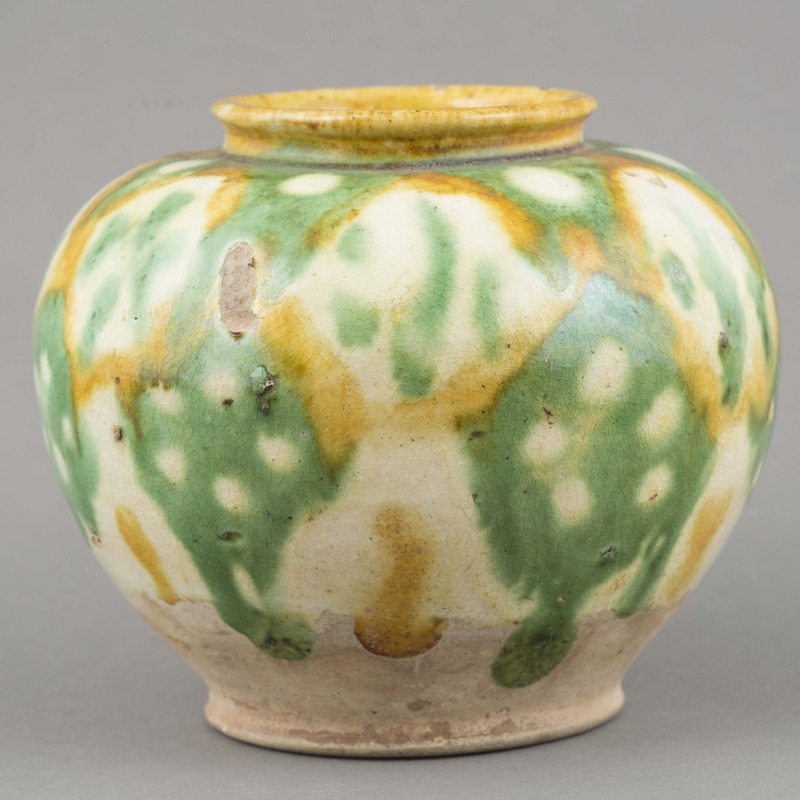 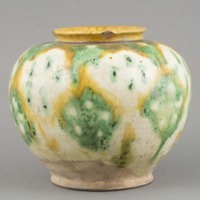 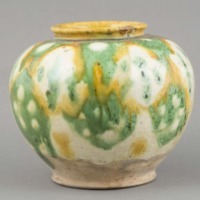 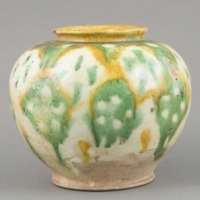 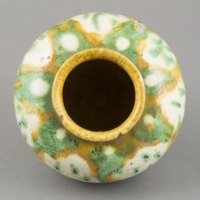 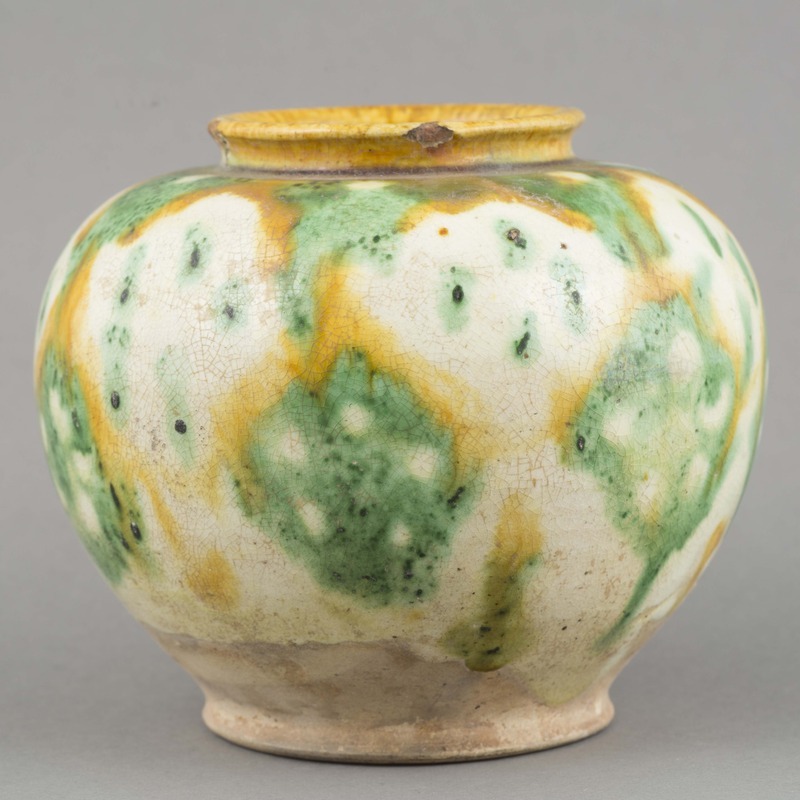 Vase presents loosely applied geometric pattern in yellow and green glaze over a glazed white ground. 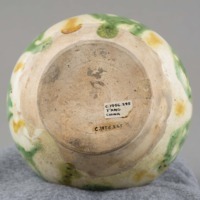 “Ceramic: vessel,” China, Art and Cultural Diplomacy, accessed April 22, 2019, http://rewialleyart.nz/items/show/1174.